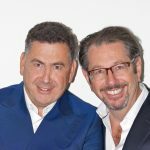 Robert Sandelson and his brother Johnny bought the 20/21 British Art Fair earlier this year and are relaunching a revamped and refreshed version now called British Art Fair at the Saatchi Gallery from 20th September to 23rd September 2018. The British Art Fair will continue to focus on Modern British art. We managed to grab some time with Robert to ask him a few questions about what people can expect. 1 Why have you decided now is the right to revamp and relaunch the British Art Fair? Modern British art continues to be a dynamic and developing field My brother and I, who bought the fair earlier in the year, want to move it forward and are well placed to take it to the next level. This year is the thirtieth anniversary of the fair and it seemed a good time to develop it, particularly with interest in the field taking a definite upturn. 2 Do you think there is a demand for Modern British Art? I do. The auction houses, Sotheby’s and Christie’s sold around £100m in this category last year. The dealers have been selling it well and museum shows around the country are well attended so the interest is broad and deep. It’s interesting how many followers of contemporary art are now looking more closely at the careers of artists such as Bridget Riley and museums are taking an interest in the field – for instance, the exhibition of Edward Bawden that is on now at Dulwich Picture Gallery. 3 Why and when did you decide upon Saatchi Gallery being the new permanent home of the British art Fair? In January, having considered the options, it was decided that if the Saatchi Gallery had space, the location and the quality was what such a fair demanded. 4 Can you tell us about the special exhibitions you will be hosting. Each year I shall use the generous galleries at Saatchi and the knowledge and connections of our dealers to make curated, generally monographic, displays so the visitors will take away some deeper appreciation of the artists by seeing several of their works hung in mini-exhibitions. This year we have a monographic display on Ivon Hitchens – and there’s an interesting connection as my father, who was an art market correspondent, wrote about Hitchens back in the early 1950s. We’ve also got a special exhibition looking at the works of the close friends, Sir Anthony Caro and John Golding. There will also be a special presentation of Bridget Riley’s work. We are not in a digital world, we are in a physical world! I think that artists produce work to specific sizes and mediums and no digital intermediation can enhance that, you must see it with your own eyes. And I think there’s still a demand to look at art in a gallery space. 6 Have you spent much time thinking about how the work will be displayed at the fair – are there any stand/booth innovations? Yes, a lot of time. I have spoken to the galleries and dealers who are exhibiting and they know that they have been given beautiful spaces to curate, so the challenge is to find and bring the best they can and then hang it as best they can. I have given dealers a lower price point model whereby their booths are less expensive and I have invited them to curate extra exhibitions in the space. I hope that I am fostering a notion that this is a celebratory event – a festival of British Art. 7 Is there a talks programme or special events people should know about? 8 How do you plan to market the fair? The fair has been going for 30 years, many collectors all over the country bought their first pieces of art from it so it is very well known and indeed well attended. This year with the move to Saatchi I am sure we will engage with yet another audience as people hear about what is happening there. It’s important to also think about the way that Modern British Art is evolving – for instance, there is work by artists like Grayson Perry and Michael Craig-Martin at the fair. 9 How will you judge if the fair is a success? In its first year, at its new home, with so many significant dealers who are either returning to the fair or exhibiting for the first time, combined with the core of fine dealers who already support it, I think I can say it is already a success. This entry was posted in Art Fair News, NEWS and tagged British Art Fair, Robert Sandelson. Bookmark the permalink. British Art Fair to be revamped and relaunched after major investment.